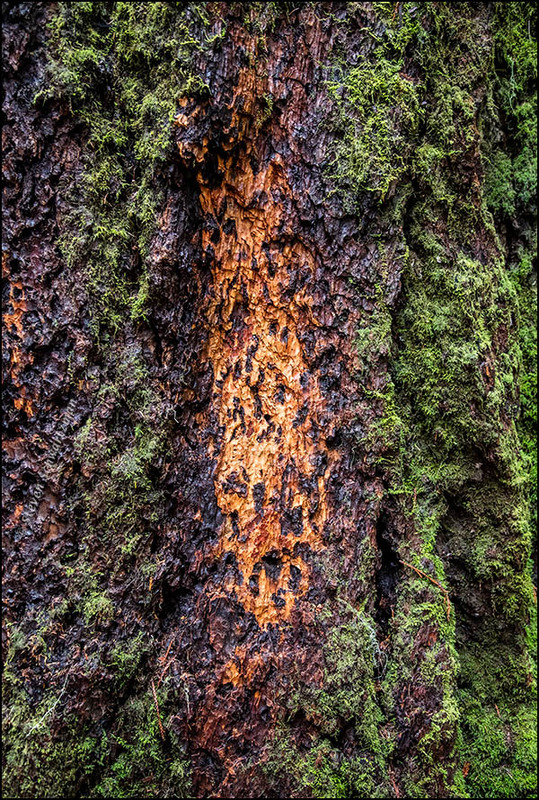 After teasing you here with pictures from redwood preserves, first the Armstrong Grove and then Muir Woods, I’m finally providing a clear shot of a California redwood tree, Sequoia sempervirens, from Big Basin Redwoods State Park on October 31. 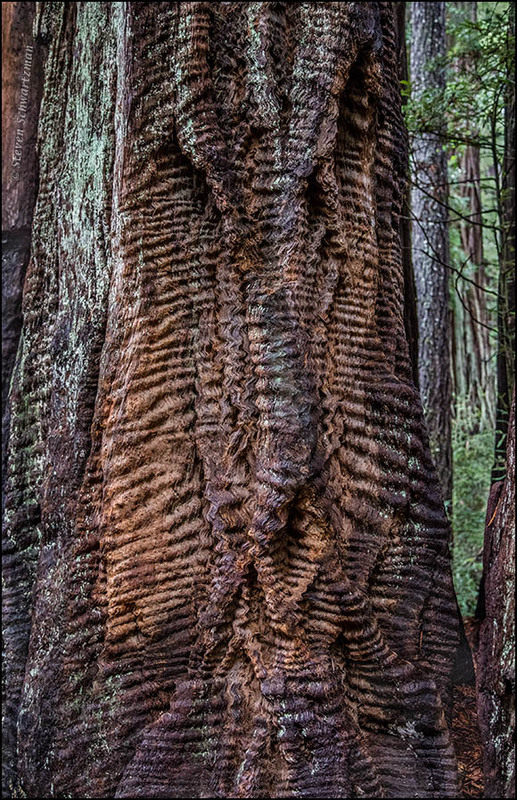 This species produces the tallest trees in the world, even if in today’s photo you’re looking only at the base of one. 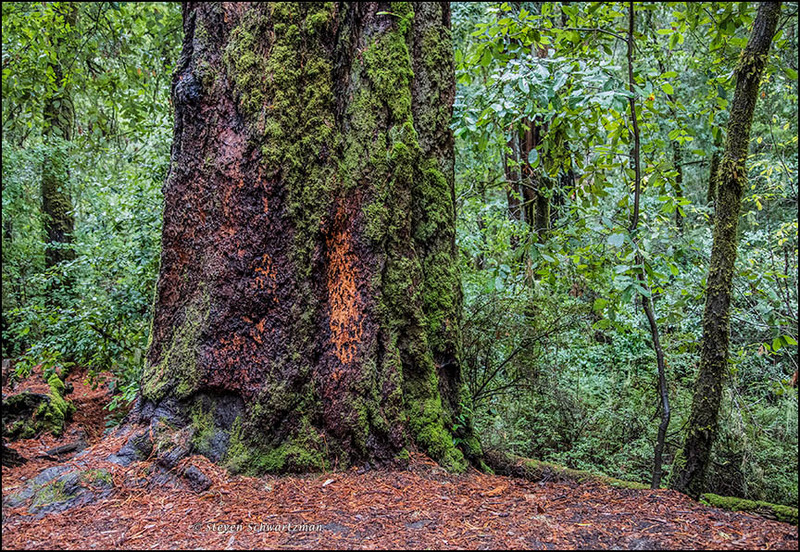 I was attracted by the way the orange patches on the redwood’s trunk, along with the dry redwood leaves fallen on the ground, contrasted not only with the green of the moss on the tree but also and even more so with the greater greenery of the forest beyond. Click below to zoom in on the orange area.